The World's Oldest Dog in Japan named Pusuke die at the age of 26. This dog was claimed as the oldest dog according to the Guinness Book of Records, Pusuke's age is 26 years and 8 months, or equivalent of 125 years old in human. Pusuke was born in at the home of one of Shinohara's relatives in March 1985 and was registered as a pet on April 1 that year, According to Guinness. 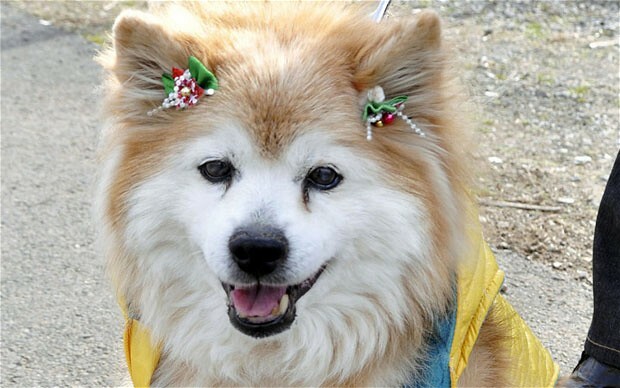 There's so many website wrote about the death of Pusuke the World's Oldest Dog in Japan. 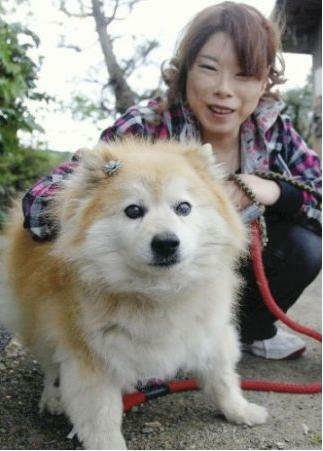 Yumiko Shinohara as Pusuke Owners told reporters at her home in Sakura, a city outside Tokyo, that Pusuke, a fluffy tan Shiba mix, died Monday after suddenly falling ill and refusing to eat. Pusuke had been active, healthy and fit up until the day he died. Shinohara told TV network FNN that she "would just like to thank him for staying alive so long." The report said Pusuke's life span would have been the equivalent of about 125 years for a human. "I was with Pusuke for 26 years and I felt as if he was my child. I thank him for living so long with me," Shinohara said. Pusuke was recognized as the world's oldest living dog last December. The Guinness record for canine longevity is 29 years, set by Bluey, an Australian cattle dog who died in 1939. Rest in Peace Cute Pusuke.